This presentation will provide therapeutic guidelines to help identify the source of a wide range of clinical problems, and demonstrate how they can be addressed. EMDR therapy is widely recognized as an effective trauma treatment by organizations such as the American Psychiatric Association and the World Health Organization. In addition, 20 randomized studies demonstrate positive effects of the eye movement component. Research has also clearly demonstrated that certain kinds of life experiences lay the foundation for both mental and physical problems. Clinical and neurobiological research demonstrates that EMDR therapy directly addresses the physiological basis of clinical symptoms and dysfunction. EMDR directly addresses the physiologically stored memory networks that underlie both psychological problems and mental health. This orientation to both case conceptualization and treatment will be explored to address diverse clinical applications,including attachment issues, body image, chronic pain, substance abuse, sexual dysfunction, personality disorders, and other presenting complaints. 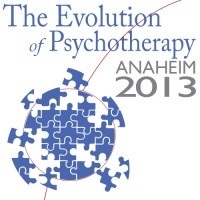 The Integration of EMDR with family therapy practices will also be discussed. EMDR therapy is widely recognized as an effective trauma treatment by organizations such as the World Health Organization and the Department of Defense. In addition, 20 randomized trials demonstrate the positive effects of the eye movement component. Unlike other empirically supported approaches, it is unnecessary for the client to describe the trauma memory in detail or do daily homework to achieve positive effects. 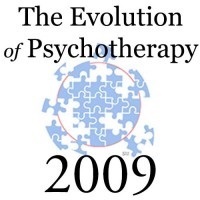 This presentation will demonstrate the eight phases of EMDR treatment with both adults and children through discussion, exercises and client videotapes.